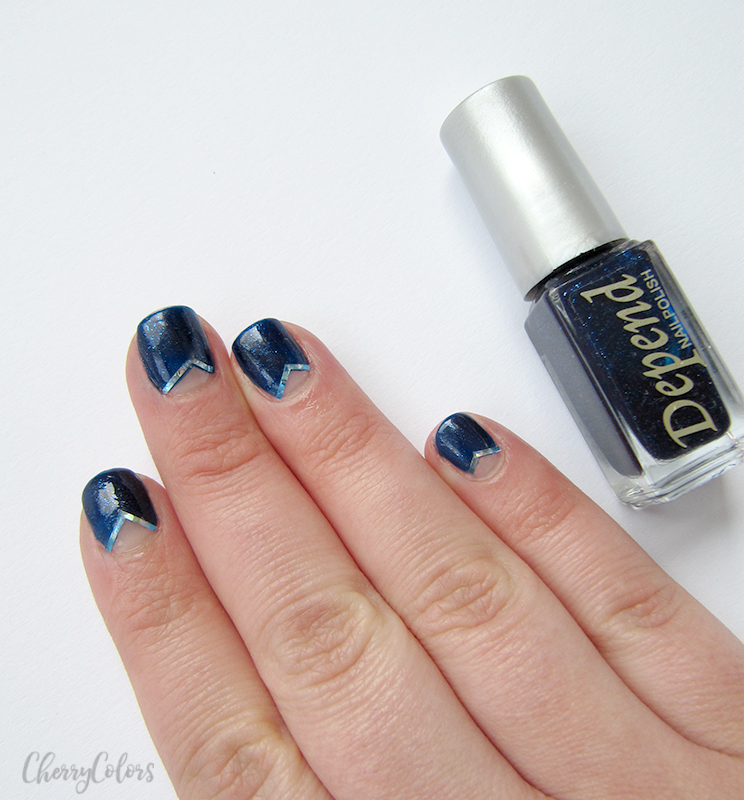 Sailor Mercury Nails - Cherry Colors - Cosmetics Heaven! I've always been a fan of Sailor Moon and her comrades. 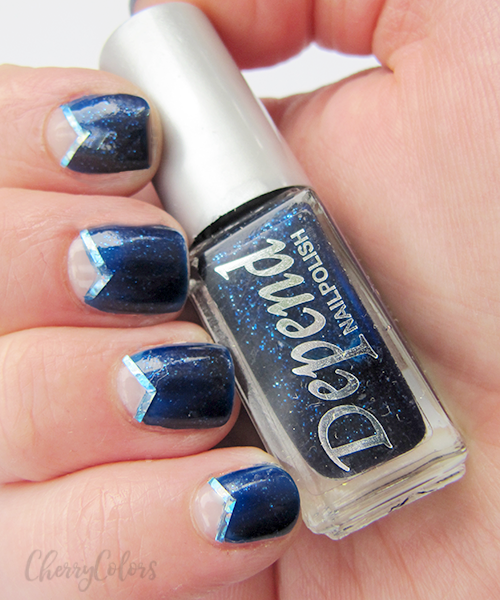 And when I got the Depend nail polish in 428 in my DM Tek bag, I knew exactly what I would do with it! 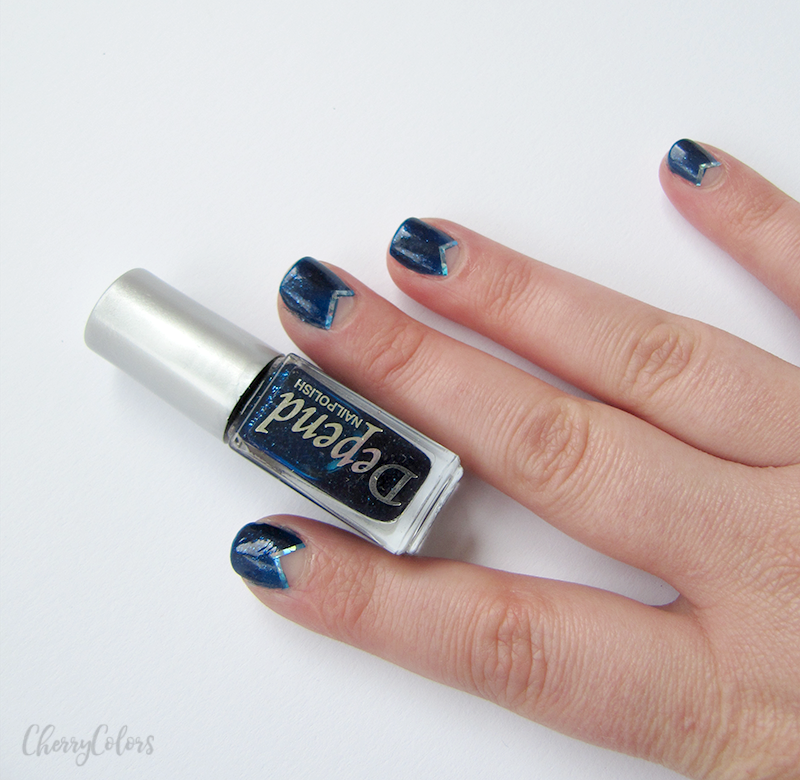 The task was simple - apply the nail polish in two layers and then add some nail foil tape. Simple! But you know why I fell absolutely in love with this polish? Because it reminds me a bit of Essie Starry Starry Night. Which I guess I won't ever own *sigh*. The drying time was a bit on the long side, thanks to the heavy layer of top coat to fix the stripes. But as we all know, the stripes didn't survive a day, since you need gel polish to keep them on. It's a lesson learned for the next round of manicures ;). Now, I guess I should do other Sailor ladies inspired manicures. Yay or nay?